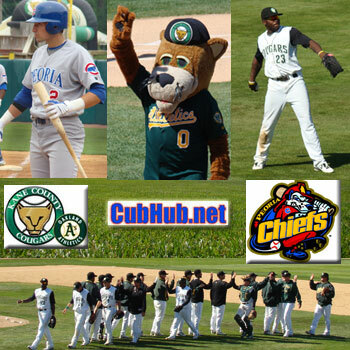 I will be reporting *live* from Elfstrom Stadium, home of the Kane County Cougars on Saturday May 8, 2010 when the Cougars play the Peoria Chiefs, class-A affiliate of the Chicago Cubs! Stay tuned on the Clark-Addison Cubs Fan Blog and follow my on Twitter @ClarkAddison for real-time updates, photos and commentary from the game…first updates begin around 4pm, with first pitch at 5pm (Central time). Join me live on CubHub.net - May 8th, 5pm first pitch!